You have decided to have an all adult wedding–and a friend returns the Rsvp card with their children’s names on it. The only people invited to the wedding are those whose names are on the “inner” envelope. Sometimes close friends will just assume you want their children the wedding, even if their names are not listed on the invitation. Let the parents know as soon as you receive the rsvp that you, your fiancée and your family made the decision to make this adults only. If it’s an out of town wedding and you have access to good babysitters, you can volunteer names and phone numbers but otherwise be firm and don’t get yourself in a bad position. And be consistent. If it’s no children, it’s no children. Telling one person “no” and another “yes” could cause hurt feelings. Do I have to extend a “plus one” to all single guests? If you can afford it and your venue is large enough, it’s nice to offer a “plus one” to single friends . Friends who are engaged, living together or in a serious relationship for a long time should both be invited. 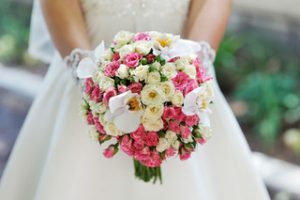 Your first priority for plus ones, though, should be your wedding party–they are your besties, will be around all weekend and have supported you though the parties and other events leading to the wedding. If funds are tight or space is at a premium and you can’t offer a plus one, good friends will hopefully understand your dilemma and will want to share this event with you, with or without a date. Can I take a date or friend to a wedding? If your name is listed alone on the inner envelope, you are the only one invited. If there is an outer envelope only and there’s no “and Guest” or “Plus One” after your name, you’re the only one invited. Brides and grooms are rarely able to invite everyone they want to invite due to costs, space and other arrangements. If you receive an invitation, you really are special to the people who invited you, even if you don’t get to take a date. •	Keep things in perspective. The wedding is the celebration of a very special time for your close friends. Treat it as such. •	You should never ask if you can bring a guest if “and guest” or “plus one” is not indicated. •	You will most likely know at least a few people at the wedding and if not, make it a priority to greet the family and everyone you know first, then. move on to making new friends. Many wedding guests meet their future life partner at weddings. I’m going to a wedding in another state. It’s expensive—airfare, hotel, meals, etc. Do I still have to send a gift? You never “have” to give a gift. However, it is traditional and somewhat expected so you should strongly consider giving at least a small gift, even if the wedding is out of town or is a destination wedding. Most couples have registries that include a wide variety of price ranges. The same is true if you are not able to make the wedding since wedding invitations are usually sent only to close friends, family and others who are important to the couple. How much is appropriate to spend on a gift? Spend what you can afford but here are some things to think about. According to The Knot, a gift should be in the range of $75–$100 for most relatives and friends, $50 to $75 for casual friends or co-workers, $100 plus for close relatives and friends. This is a stretch for many guests but most couples register for a wide variety of price ranges. If you can’t afford a big chunk for a gift, try looking at the lower priced items (like kitchen utensils, tools, etc.) and purchase several over a period of time, then put them together as a package. Your friends/family usually know your financial situation and your friendship should not depend on how much you spend for a gift. Is it OK to ask for money instead of gifts? In some cultures, cash is the preferred way of conveying good wishes (Korean, Chinese, many middle eastern cultures) but it’s still not widely accepted in the US. The best way to handle this issue is to let your family do the talking. When parents and friends are asked what the couple would like, they can respond with something like, “They’d appreciate cash as they are saving for a down payment on a home (or honeymoon, or other large item). But they also have a registry at ______ or ________.” Never put your request for cash (or any other gift) on the invitation. Should I take a gift to an engagement party? A gift is not expected or required at an engagement party but many times, guests want to take a little something to congratulate the couple. If you take a gift should be small, a token more than a gift. A book on marriage, nice photo frame, wine or champagne or something that reminds you of the couple are safe bets. A card expressing good wishes is totally acceptable. When is it OK to take cell phone photos at a wedding? Don’t be “that person” who steps into the aisle and gets a shot only to block the shot of the professional photographer. If there is anything to suggest the ceremony is “unplugged” don’t even think about taking a photo. The couple’s website, program, signage or an officiant announcement may signify their wishes. Even if no one says anything, it’s a good idea to keep you phone hidden away or turned off. Enjoy the moment. What about posting photos of a wedding on social media? Definitely nothing of the ceremony or pre-ceremony activities until AFTER the wedding and reception are over. Ask your friend BEFORE the wedding what’s acceptable to him or her. Sometimes couples will set up an Instagram hashtag–but you never know how the wedding party will feel unless you ask! On the other hand, they may be happy to see a few photos before the professional ones are ready to view–but again, ask. If you have not asked, don’t post.